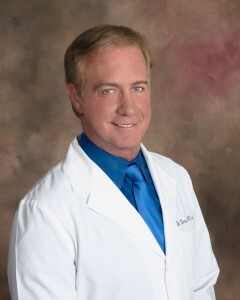 About Las Vegas Hormone Doctor Donald Tice, D.O. Dr. Donald W. Tice was born and raised in Detroit, Michigan. After completing medical school at Chicago College of Osteopathic Medicine, he returned to Michigan for his post-graduate training and in family medicine. In addition to practicing medicine for over 30 years, Dr. Tice has done extensive research and training in Nutritional, Hormonal, and Metabolic Medicine. In 2009 he focused his research and training on obesity medicine and completed certification and a fellowship in Obesity Medicine. His proven theory is to provide individual treatment programs for patients focusing on genetics, hormones, neurotransmitters, balanced nutrition, and physical activity. He understands obesity as a serious medical condition that affects many aspects of the human body. Before moving to Las Vegas, Dr. Tice owned and operated Advantage Health Center in Myrtle Beach, South Carolina for 20 years. He was appointed by the governor and served on the State of South Carolina Board of Medical Examiners. Always active in his professional societies, he served as President of the South Carolina Osteopathic Medical Association. Hormone imbalance, nutritional deficiencies, neurotransmitter imbalance, and the co-morbid conditions associated with obesity are the areas of Dr. Tice’s practice. In his spare time, Dr. Tice enjoys boating, water sports, tennis, and spending time with his family. His wife, Renee, is an attorney and business owner. Dr. Tice has traveled all over the world and chooses to make Las Vegas his home. “After the birth of my child in my mid-forties, I found myself in my 50’s and more than 100 lbs. overweight. I’d tried everything in the prior 10 years including bariatric surgery. I started seeing Dr. Tice in June 2009, and in eighteen months, I’d lost 110 lbs. and have kept it off without HCG or a 500-calorie per day diet. I thought I knew how to eat properly (even though I wasn’t always doing it), but he taught me so much that I didn’t know. I am forever grateful to him for giving me my life back.” – Kim P.
Call Las Vegas Hormone Doctor, Donald Tice, D.O. today at 800-774-4902 Ext. 137 to discuss how bioidentical hormone replacement therapy can help you!